As the true MFB tradition goes, Schlagzwerg is a combination of a drum machine/step sequencer: cute and very analog inside. It perfectly fits the desktop neighboring other instruments, and the interface hides many features. In the heart of the drum machine there are 5 individual old-school drum modules: kick, snare, toms, hi-hat and cymbals. All of them have a large selection of sound parameters for shaping different variations, as well as the ability to modulate them through CV inputs. The step sequencer consists of 6 tracks, one for each timbre plus a spare one. Each pattern is divided into 16 steps with 2 variations of A/B, and 16 patterns with memory. A/B can also be combined into extended 32-step sequences by switching. The device has 6 additional CV outputs that can be programmed together with a pattern to transfer 16 values of each sequence. For those who want to add a bit of groove, there are 7 kinds of shuffle, along with the usual 16th note swing. The buttons of the 16-step sequencer are very small, but firm, and have the corresponding red LED to confirm triggering. LEDs are doubled to indicate status for displaying the programming mode, pattern selection, shuffle. 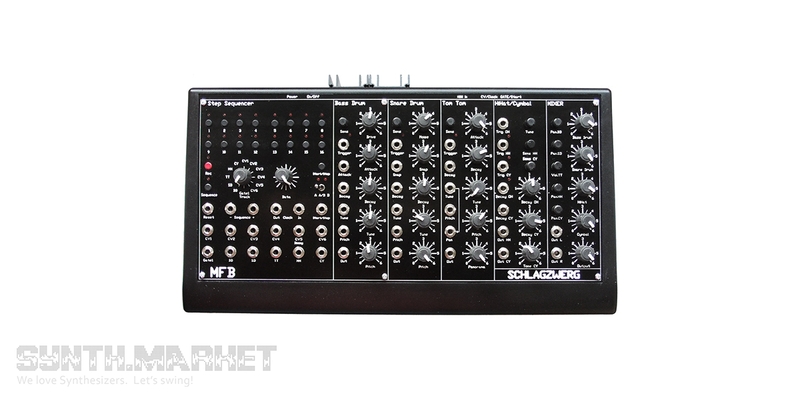 Schlagzwerg is great for home use, because its rear panel offers MIDI options. 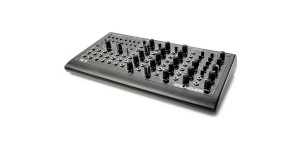 It can be used to synchronize the sequencer with MIDI-clock, or to trigger independent drums. 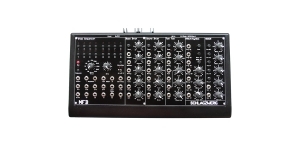 There are 4 programming modes for operation: a choice between an internal sequencer or MIDI, and data transfer to a pre-mounted drum module or external Gate/CV outputs. 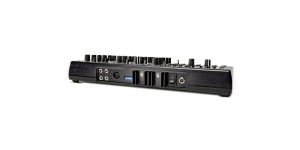 Each MIDI channel can be used for one trigger and a pair of CVs, the keyboard can be split into 4 zones. This allows you to send triggers and CVs individually or together, depending on your needs.